Print - Pure Black, Inc.
Want to add some color to the mix? Our UV printer has the ability to produce full color images with ultra high resolution on just about any substrate you can imagine. It uses ultraviolet light to almost instantly cure and bond the ink to the printed material, and the impression is just about as durable as the material it’s printed on. Take a look below for more info. 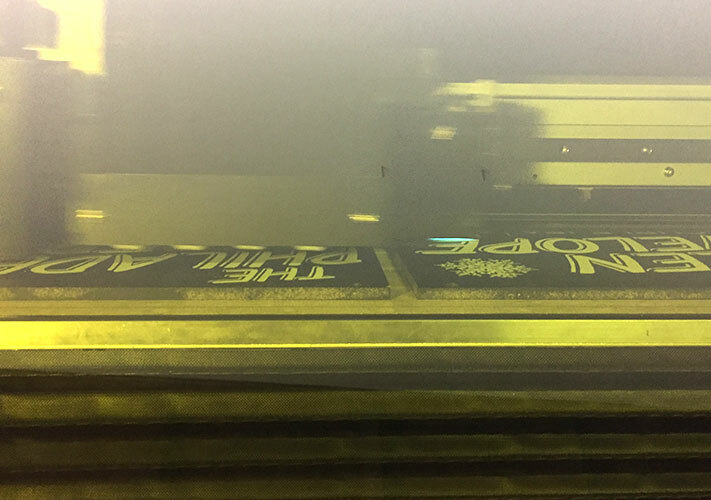 We run a Roland LEF 300 with a 30×13″ live area for printing. This machine is capable of printing at an incredible detail, but has only 2.5mm of play between the print heads and substrate, which means that your material cannot be curved, warped or refuse to lay flat. 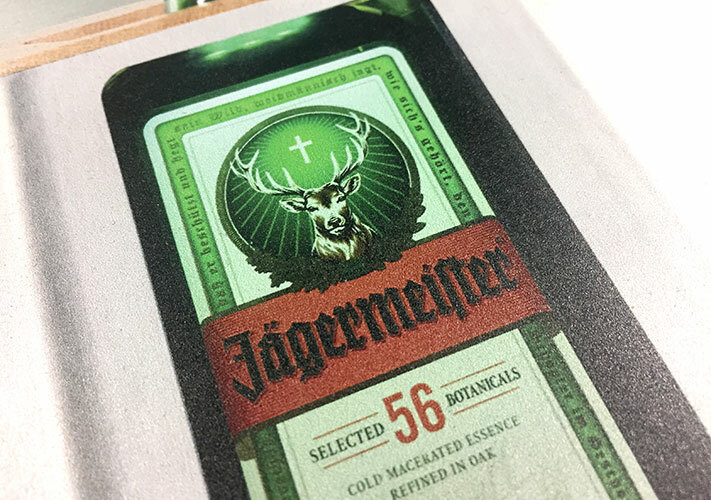 Colors go down with slightly satin finish, and are able to be printed in varying levels of quality (our default for full color is highest quality, but can be reduced for faster production times upon request). 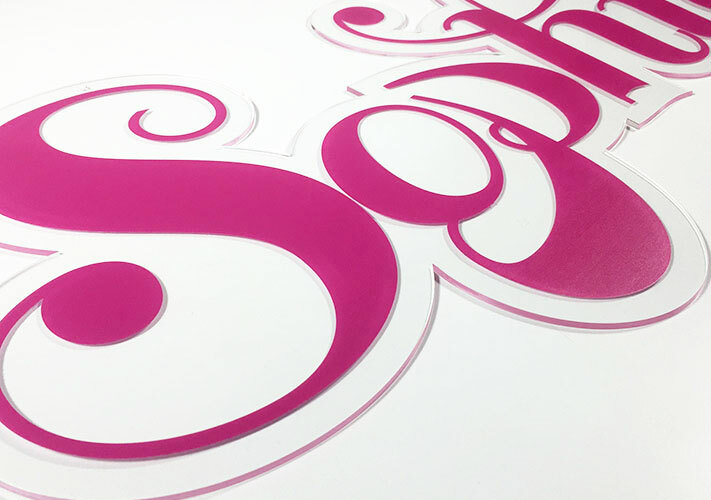 It also has the ability to print in white, primer, and gloss, as well as print textures using multiple passes.